NEW HANOVER COUNTY, NC – New Hanover County has proactively volunteered to be the first landfill to participate in North Carolina Department of Environmental Quality’s (NCDEQ) new landfill leachate sampling protocol. Landfill leachate is formed when rainwater infiltrates and percolates through waste. 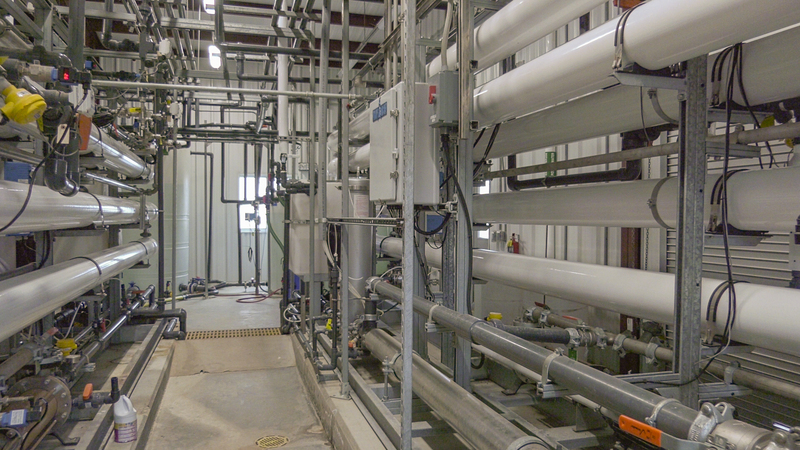 At New Hanover County’s landfill, this leachate is treated through a reverse osmosis (RO) system and the treated wastewater is then discharged into the Northeast Cape Fear River, downstream of Cape Fear Public Utility Authority’s water intake facility. Leachate has been identified as a potential source of per- and polyfluoralkyl substances (PFAS) because of the industrial waste, sewage, and other PFAS-containing consumer products found at the landfill. Given this information, New Hanover County has volunteered for its landfill to be the first in the state to be tested by NCDEQ for PFAS. Samples will be taken from the landfill’s raw leachate and treated water, as well as a groundwater well on the site. New Hanover County’s Public Health and Environmental Management departments have collaborated with NCDEQ to determine a sampling panel of 33 analytes to be tested at the landfill, which is consistent with NCDEQ’s sampling protocol for other PFAS work around the state. Sampling will take place in February, with results available in March of 2019. Once NCDEQ receives and analyzes the results, they will be shared with the public. As part of the statewide landfill sampling protocol, NCDEQ will coordinate and fund the leachate sampling.